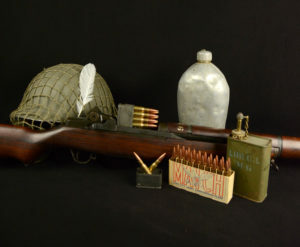 Every year, the rifle Small Arms Firing School provides one of the greatest opportunities to learn a variety of marksmanship essentials for those new to the sport as well as those more experienced. 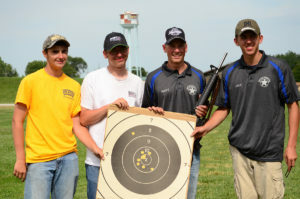 The course is part of the National Trophy Matches, held annually during the summer months at the Camp Perry National Guard Training Facility in Ohio. 2018 SAFS participants listen to basic instruction in Hough Theatre before heading out to Viale Range. 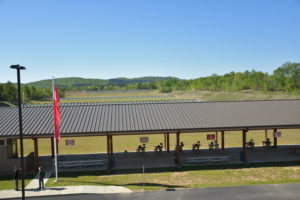 The Small Arms Firing School (SAFS) is a two-day clinic that includes a safety training and live fire portion on the first day and an M16 Rifle Excellence In Competition (EIC) match on day two. 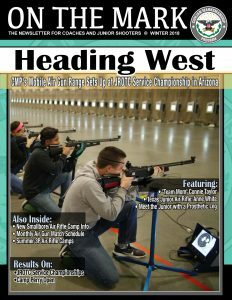 The program is designed for beginning marksmen or those looking to earn their first EIC points, which are earned and applied toward receiving a Distinguished Rifleman Badge. Participants are provided a rifle and ammo for training during the class and also receive a souvenir SAFS t-shirt. 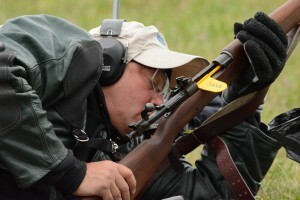 Coaches on the firing line help record zeroes as well as correct and improve positions, including assisting new shooters in finding comfortable ways to position the rifles with gear. Shooters with personal coats and gloves may use them but must use the rifle provided. Tent pitched near the 200-yard line. 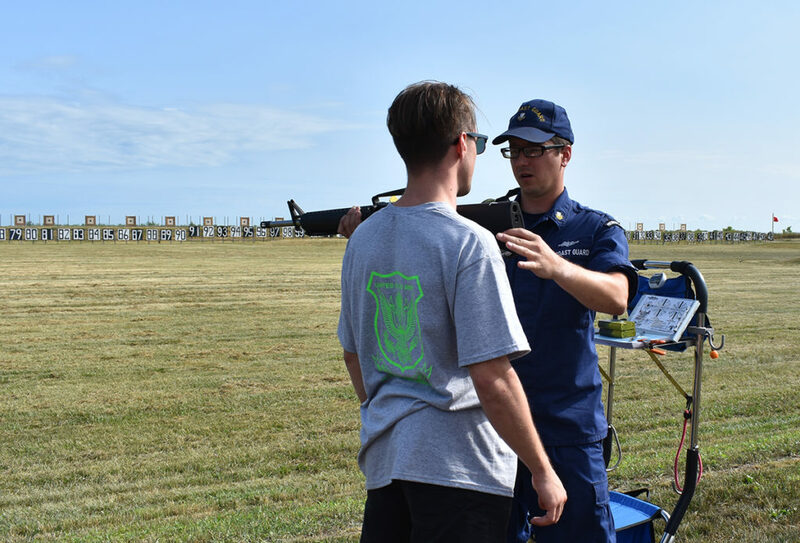 At the 2018 SAFS course, a group of 370 competitors attended and fired 30 shots on the first day, July 27, during their instruction from the trained military members and CMP certified coaches. 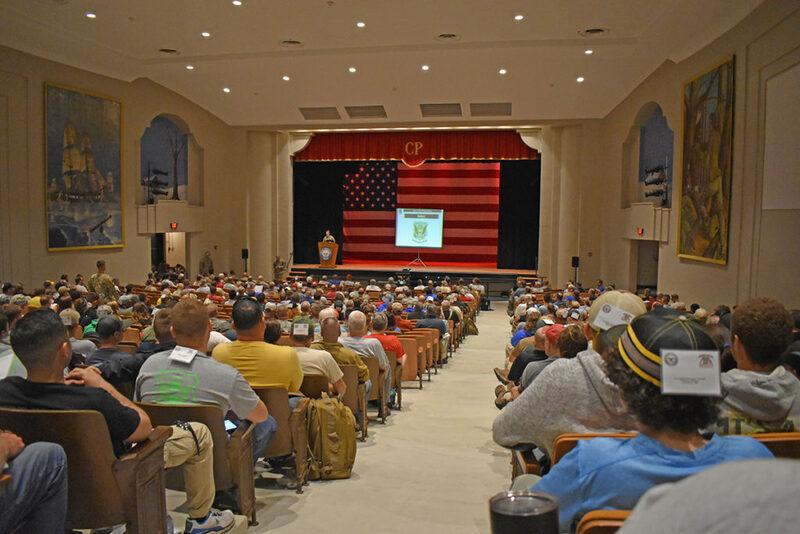 The morning of the first day of class began after colors were presented, followed by a safety briefing in the newly renovated Hough Auditorium. A safety and basics class was then conducted within the auditorium by members of the Army Marksmanship Unit (AMU), who facilitate the SAFS course, before heading to the range to work one-on-one with positioning. 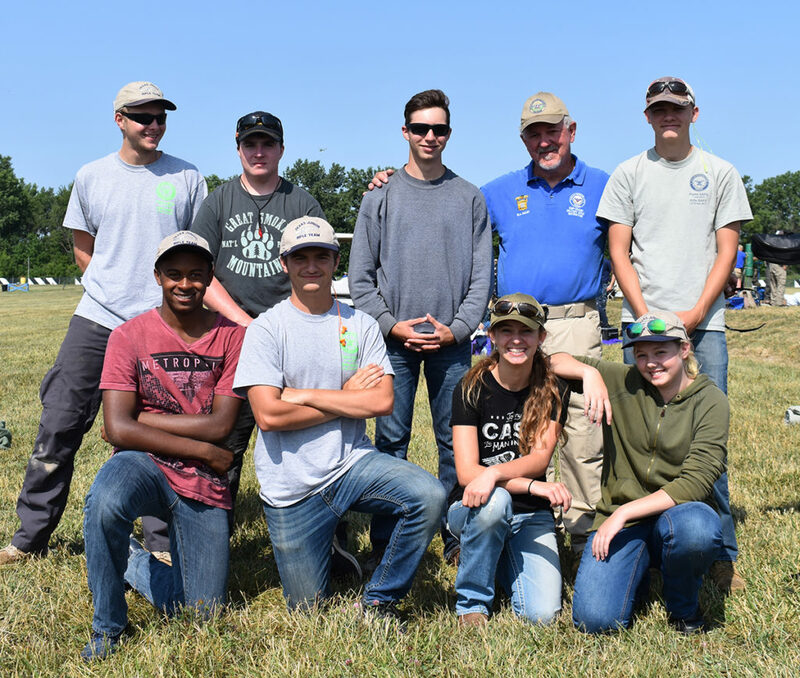 Those who attended SAFS in the past or have significant highpower experience stayed for an advanced class, where the AMU members offer tips and in-depth instruction on wind-reading and other more detailed concepts. Out on the range, four persons were assigned to each target, one firing per relay, and each target shared an AR-15, magazines and sling. Instructors showed each person proper standing, sitting and prone positions, before firing 10 shots from each. Participants also spent hands-on time learning how to pull and mark targets in the pits. 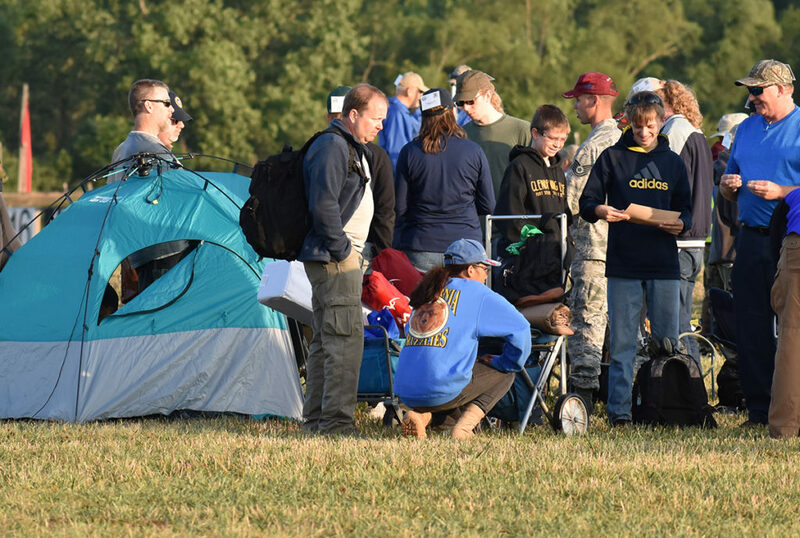 Observers noted a diverse array of not only positions, but also gear. Someone pitched a tent for shade near the 200-yard line, while another converted a bicycle into a shooting cart to pull gear. 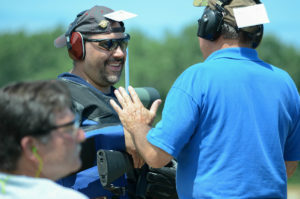 Coaches first had SAFS participants find their natural point of aim and dry fire before firing live rounds. The M16 EIC match the next day, July 28, offered competitors without any EIC points a chance to earn four introductory points by placing in the top 10 percent of eligible competitors. Eligible competitors included those who are non-Distinguished and without any EIC points. The course of fire for the M16 EIC match consists of 10 shots slow fire prone in 10 minutes, 10 shots rapid-fire prone in 60 seconds, 10 shots rapid-fire sitting in 60 seconds and 10 shots slow fire standing in 10 minutes, all fired from the 200-yard line. 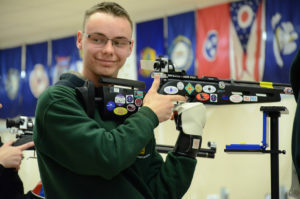 Match winner for this year’s M16 Match was Nathan Russell of Emlenton, Pa., with a score of 391-15x. Thirty-one competitors earned four EIC points with scores at or above 378-6x. Lisa Wheeler at 2018 SAFS. 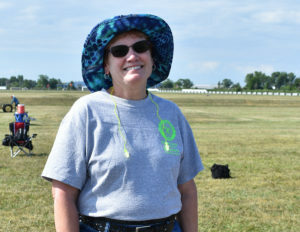 While some competitors’ main motivation for attending SAFS was for the EIC points, others, such as Lisa Wheeler of Beavercreek, Ohio, sought greater rifle experience. She attended the school with her husband of 39 years, Jon, a former Air Force veteran. Jon Wheeler heard about SAFS through some acquaintances and thought it would be an anniversary trip his wife would not expect. Walter Haley and some of the Texas juniors. 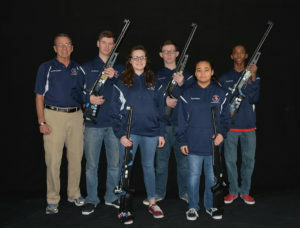 Others, such as Walter Haley, the head coach of the Texas Junior Rifle Team, have been coming to Camp Perry for years. Haley not only brought along 14 Texas juniors, several of them participating in SAFS, but also taught the 2018 SAFS as a coach. 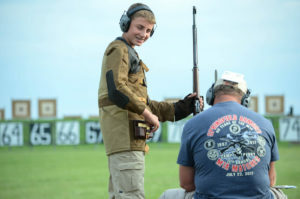 When asked what rewards Haley derives from teaching, he noted that the “ability to impart the knowledge of the shooting sports to somebody who has actually spent the time and the effort to come [to Camp Perry] and many times [has] never fired a rifle…[or] pistol” is incredibly special. 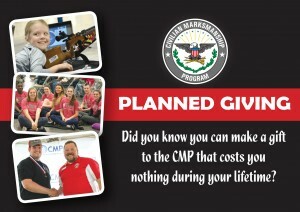 Haley most enjoys helping provide people an opportunity to see the joy that competitive shooting can bring. 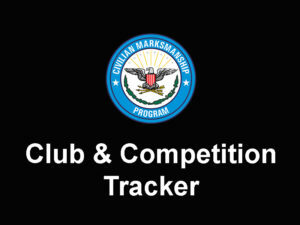 For full results, visit the CMP website at https://ct.thecmp.org/app/v1/index.php?do=match&task=edit&tab=results&match=16353. Photo may be viewed at https://cmp1.zenfolio.com/f934333381.